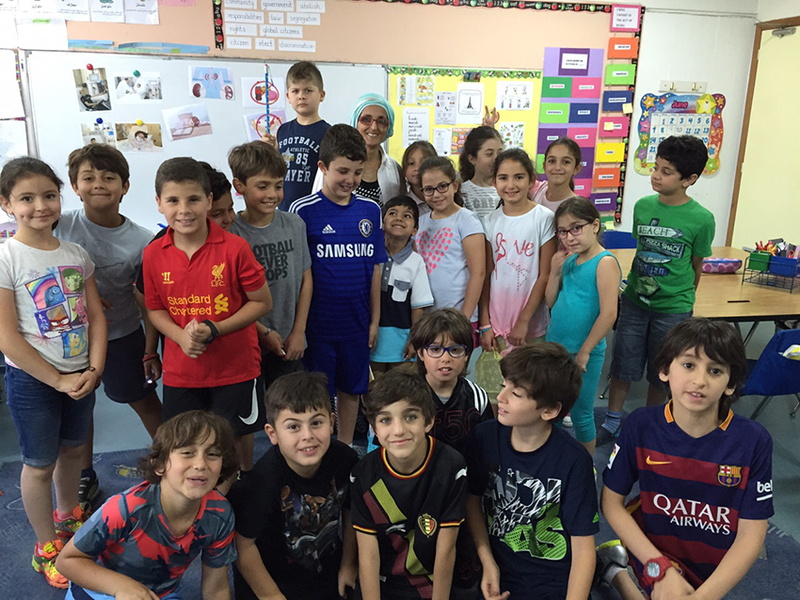 The students of grade 1 and grade 2 at IC Ain Aar worked during the school year 2014-2015, on a civic engagement project. They decided to make a gift to the kids with kidney failures that are waiting for transplantation. They wanted to offer them books with CDs to help them enjoy their long days at the hospital. The students, therefore, organized a bake sale to raise money, purchased books from the book fair at school, and recorded the storybooks with their voices (individually or in groups). When the CDs were ready, they called NOD Lb for a lecture. At the end of the meeting, they asked NOD Lb to deliver the books with the CDs to the kids’ dialysis center at St George’s hospital- Beirut. Our meeting with the students was unique, we did learn so much from them!